Throughout your life, were you told that you could be anything that you wanted to be? Yea, I bet you were. I was told the same thing too, but I think I got the wires crossed because I now know that yes, I can be anything I want to be, just not everything I want to be. Put a bit more clear: Be honest with yourself about your limitations. 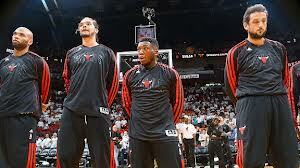 Think Nate Robinson (it is NBA Playoff season ya’ll; and no, I’m not a Bulls fan, I’m from the M-I-A!! Go Heat!). I’m sure someone told him that he could be anything that he wanted to be, and against all odds he became an NBA powerhouse (him being 5’9 when the average height of a basketball player today is cited in Wikipedia as 6’7). Nate didn’t abandon his dream, Nate got clear about his limitations in order to realize his dreams. Nate isn’t working overtime trying to dunk on Shaq or screen Kobe–he’s honest about what he can do, and has cultivated great 3-point shots, shooting over the entire league’s average (oh, what a girl can find on ESPN.com!). My point is this: Figure out what you’re NOT good at (don’t settle into your potential–woulda, coulda, shoulda, anyone? ), and learn how to work that to your advantage. This could mean that you aren’t very good at math, so you sign up for a refresher course to get really good, or you instead you pivot completely to seek out opportunities that play to your skills in writing and design. This could also mean that you finally realize that as much as you’ve studied, practiced and auditioned, that you’re just not going to get the role; so you pivot toward makeup design; something else that you have skills in that allows you the opportunity to really grow and succeed (go you!). This has all surfaced for me because I am thinking of moving out of New York for good(ish)–NEWSFLASH! I have been around the Big Apple mountain many times before, producing the same result each time: a slew of small/temporary (but really cool) jobs or projects, not a lot of cash, separation from family and an anxiety about how to plan for the future. As I sit here, writing from SC, I realize that I have been fooling myself about where I am in life in relationship to what I want out of it (and being this much closer to 30 isn’t helping). The limitations that New York places on me (living with roommates, piecing together jobs to survive, being 4 hours from my next of kin, etc) don’t settle with my actual visions of owning a home on the coast of NC, living close to family, saving money and starting my own family. By dumping the delusions and pivoting toward something that makes more sense for me (cutting costs, paying down cc debt and saving for a home), I expect to experience an actual presence and development in my life of the things that I dream about. Have you been fooling yourself about something? Someone? Some place? Get clear. Be honest. Dump the Delusions. Love you! I really do-ooo!!! Shannan Smith is a freelance marketing and project coordinator who is passionate about helping artists and entrepreneurs amplify their brands through creative marketing plans and inspirational motivation. Follow her blog at http://artivistinaction.wordpress.com.